Stefanie was born and raised in the little town of Erie, PA. At the age of 18, she left her humble beginnings to go to college in downtown Pittsburgh at Point Park University where she earned her B.A. in Advertising/Public Relations, with a minor in political science. Originally thinking of going to law school, Stefanie saw something bigger and more appealing in her future, New York City, and the fashion industry! After graduating college, she moved to Manhattan where she began her career in fashion. In an effort to always follow her heart, Stefanie decided to pursue her true passion: fitness. She became a personal fitness trainer/instructor. She discovered helping people was her true calling, and through health, wellness, and fitness, she felt like she could accomplish that. Stefanie then progressed to managing Dr. Swift’s plastic surgery practice. 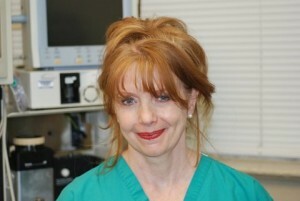 Her favorite part of the job is working directly with the patients and helping them to reach their goals, whether through surgery or injectables. In her free time, Stefanie enjoys being in the gym and is a fitness competitor.